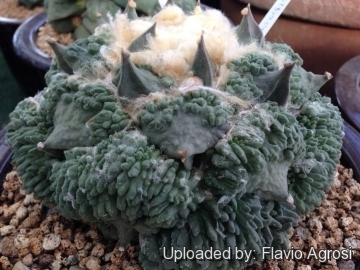 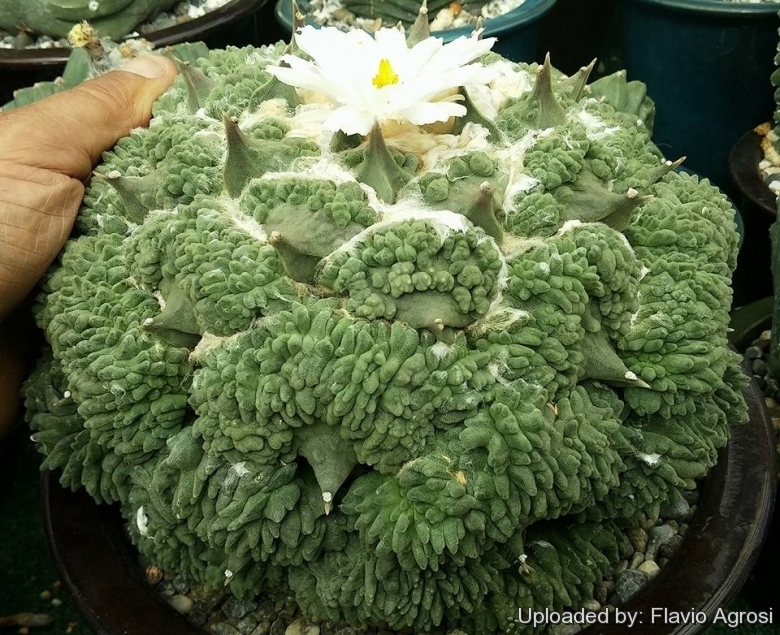 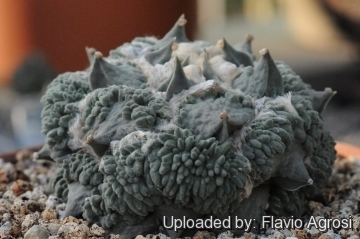 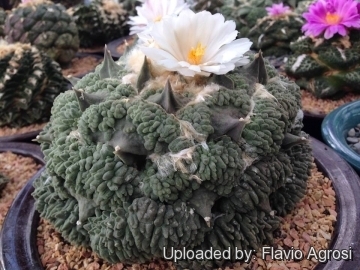 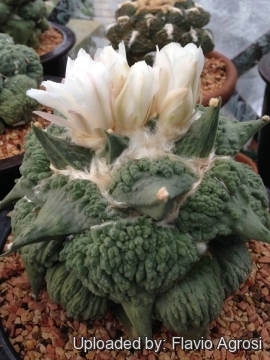 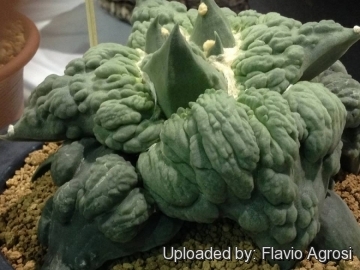 Description: Ariocarpus retusus cv. 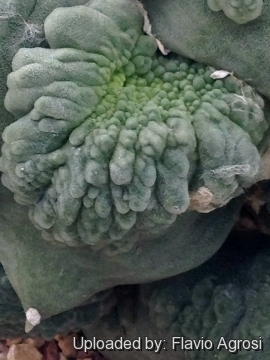 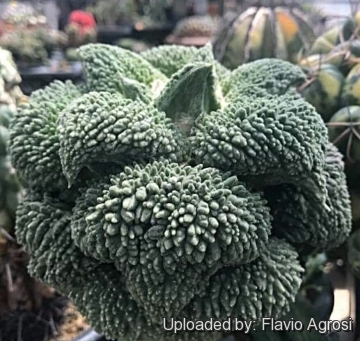 Cauliflower is an odd cultivar that has a completely or partially warty and bumpy epidermis that gives it the features of a cauliflower hence its name cv. 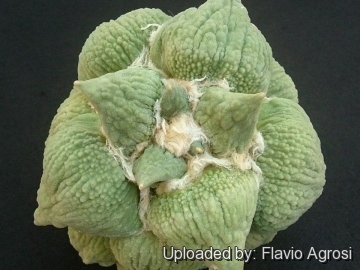 cauliflower.